If you have your own water well on your own private property, have the water tested every year or two to see what is seeping into the groundwater. You many eventually need to filter your well water. If you purchase a home distillation machine, your water is actually too pure! It contains no essential trace minerals, and will leach minerals from your body. The simple solution is to add 1/2 teaspoon of pink Himalayan sea salt per gallon to the water to replace essential minerals. You can install water filters in your kitchen. 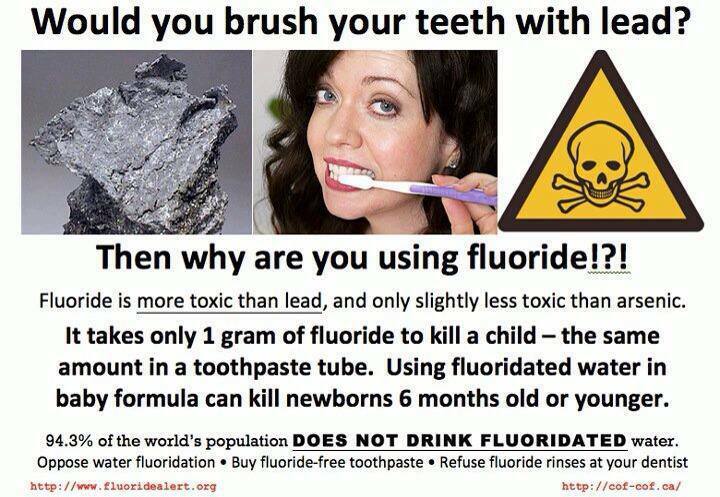 Most water filters remove chlorine and other contaminants, but not fluoride. 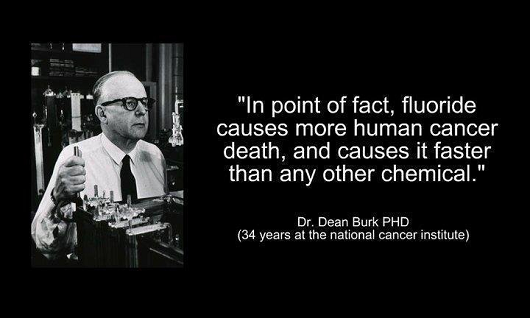 Search the internet for water filters that remove fluoride. The ideal solution is to install a whole-house water filter so that you are showering, bathing, and watering your vegetable garden with fluoride-free water, and install an additional water filter in your kitchen specifically for your drinking and cooking water. Mercury in children from both vaccines and dental fillings shown to cause autism and cause many other health issues, including contributing to Alzheimer’s and heart disease. and Kidney Disease and Cancer…. Dr. Huggins tells the story of receiving a box of papers from the late Dr. Weston Price. Undeveloped wisdom teeth caused Multiple Sclerosis in one woman. Continued testing revealed that 76 out of 84 unformed wisdom teeth had pockets of bacterial infection under them. While it would be good to have no toxic heavy metals in your body, you cannot take them out all at once if your colon is clogged, because the burden of elimination will land on your kidneys and liver and could cause serious health problems. You must first work on bowel cleansing, then liver and kidney cleansing, and then you will have strong enough organs of elimination to begin methodical detoxing of heavy metals. Dr. Christopher Shade ~ Can You Detox While Keeping Amalgam Fillings? Call 866-948-4638 or fill out the form (link at bottom of page) to get a dentist referral in your area.